Should parents change their tune on children and media literacy in the digital age? Smartphones, tablets, computers at home, computers at school, computers at the library, augmented reality, video games…the list of new platforms that children have available to engage with goes on for miles. Although the platforms for media consumption may be shiny and new, that doesn’t exactly change the way parents should approach media exposure for their children. “St. Louis on the Air” host Don Marsh moderates a live panel on children and the media for Media Literacy Week. This is a world where we have electronic media, they’re not going away. What we do need to do is find a balance between different forms of activities that we do with young children. For example, she said that using an e-book instead of a printed paperback to engage with children is just fine—so long as the parents is helping the child interpret the book, ask questions about it, pointing out particulars as they would with a normal book. 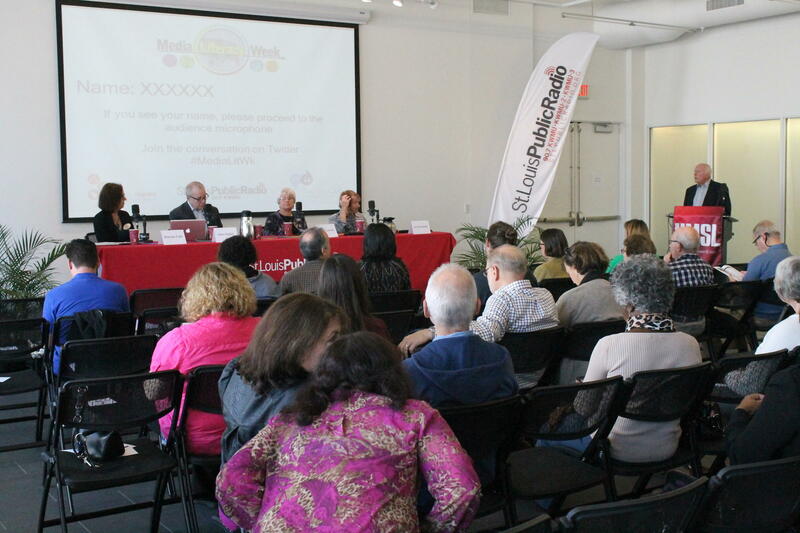 Listen to the panel discuss media literacy for children in the digital age, moderated by “St. Louis on the Air” host Don Marsh. “Media literacy focuses on a process not a product; we’re telling people how to think, not what to think,” Silverblatt said. At the crux of it, is time. Many people emailed and tweeted during the conversation to lament a lack of time and money to spend with their kids. Unfortunately, time could very well be the most important part of instilling media literacy in kids. “St. Louis on the Air” discusses issues and concerns facing the St. Louis area. The show is produced by Mary Edwards, Alex Heuer and Kelly Moffitt and hosted by veteran journalist Don Marsh. Follow us on Twitter and join the conversation at @STLonAir.